"Unique Decor and intimate atmosphere." There was nightly entertainment at the Organ Bar. Or at least people hoped that might be the case. 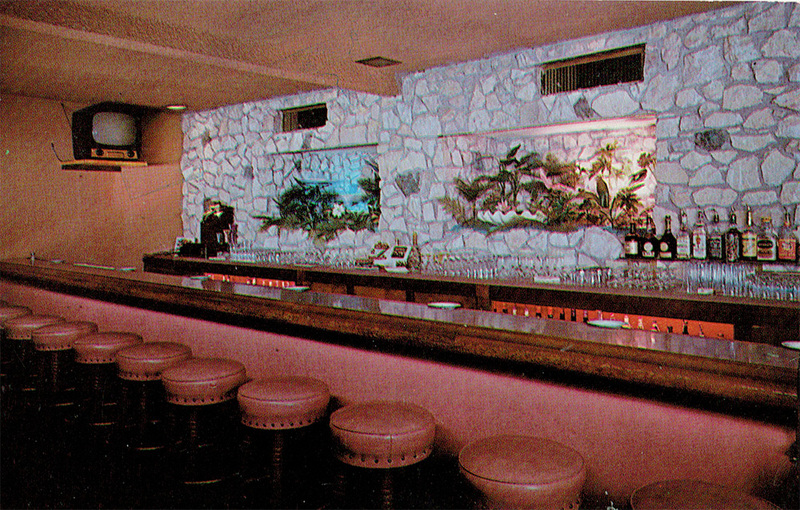 The plant-infested alcoves with indirect lighting was a nice example of Flintstonism, but a savvy manager would have put the liquor bottles on glass shelves in the alcoves. Alas, it was 1959, and they only had about 10 bottles.